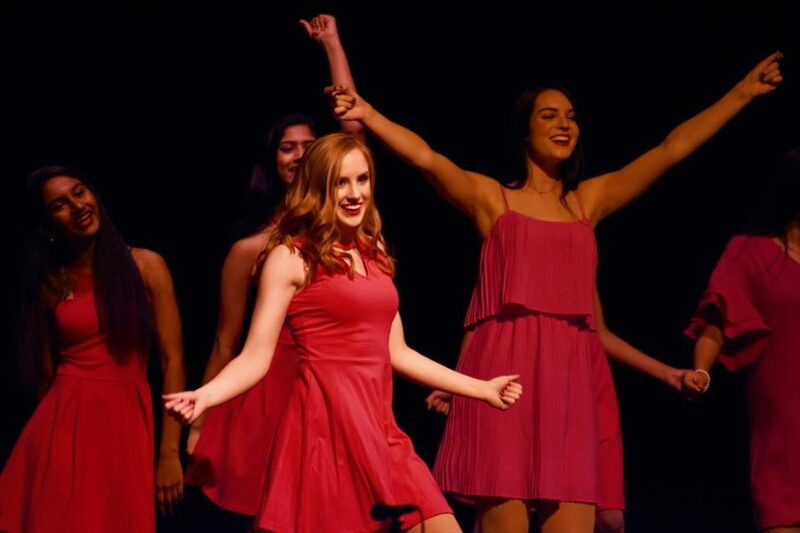 Coppell High School sophomore Sindhu Seelam, freshman Kavya Panchakarla, senior Reagan Dunn, and senior Kayla Madureira perform to “Dancing Queen” during the Respira! performance on Thursday, Nov 8 in the CHS auditorium. Choir students put in hard work to prepare for their Respira! performance which is held every November and attracts lots of friends and family to come see this entertaining show.